High performance subwoofers and music systems require low frequency reproduction free from hum, static, and other issues. The Cadence offers outstanding deep tight bass in a favorable flexible format. Transient response is fast and articulate yet with realistic musicality. The Cadence is based on design principles synonymous with out Kimber Select XLR interconnects and seamlessly integrates with other Kimber Kable products. By definition, a cadence is any place in a piece of music that has the feel of an ending point. 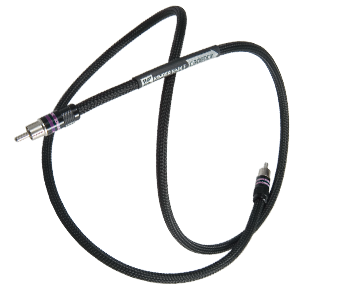 The Kimber Kable Cadence is the last subwoofer cable you will need to buy. DUT: Cadence 2m terminated with Ultraplate RCA type connectors.